Ergenekon Karagoz, MD, Assoc. Prof. of Infectious Diseases, Department of Infectious Diseases and Clinical Microbiology, Gulhane Military Medical Faculty, Ankara, TURKEY. His main research interests include hepatitis B, C, HIV, community-acquired and nosocomial meningitis, febrile neutropenia, tropical diseases (Brucellosis, Salmonellosis, Leishmania, Anthrax and etc) management of multiple drug resistant Gram-positive and negative bacteria, tuberculosis, invasive fungal diseases, osteomyelitis, spondyliytis, prosthetic joint infections, endocarditis and pneumonia. He is a member of the Turkish Infectious Diseases and Clinical Microbiology Specialists Association and also European Society of Clinical Microbiology and Infectious Diseases. He is also working in projects of Infectious Diseases International Research Initiative (ID-IRI), an international clinical research platform. Dr. Birsen Bulut-Solak graduated from Ankara University with a BSc in Dairy Technology. She obtained a MSc and a PhD in Food Engineering from Selcuk University (TR). She was awarded an International Post Doctoral Research Fellowship by the Scientific and Technical Research Council of Turkey (TUBITAK). She fulfilled her post-doctoral research in Food and Nutrition Sciences at University College Cork (IRL) under the supervision of Dr. James Anthony OMahony between 2013 and 2015. 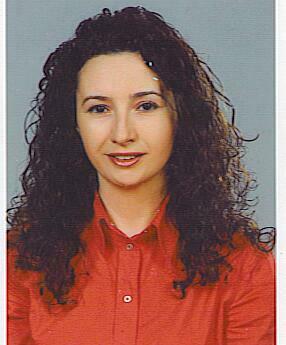 She was a university lecturer in the Programme of Dairy Technology at Selcuk University between 2002 and 2013. Dr. Bulut-Solak is currently an Assistant Professor in the Department of Gastronomy and Culinary Arts at Selcuk University, Konya (TR). She has been an ambassador in Global Harmonization Initiative for Turkey since 2016. She has carried out research on a range of issues related to Cheese Technology, Dairy Science and Nutrition as well. She is currently involved in three significant researches that are concerned with food safety, consumer acceptance of traditional foods and the determinant of food choice. She also works closely with others internationally (e.g. University College Cork and University of Illinois). Her teaching interests in the Department of Gastronomy and Culinary Arts include: Dairy Technology, Food Safety at Catering, Nutrition, and Traditional Foods. Food Safety at Catering, Traditional Foods, Nutrition, Dairy Technology and Food Technology. Teaching Undergraduate. Course on Veterinary Morphofunctional Pathology. Dept. Animal Pathology. Faculty of Veterinary and Animal Sciences University of Chile. Coordinating Professor and Participant. Course on Veterinary Toxicological Pathology. Dept. Animal Pathology Faculty of Veterinary and Animal Sciences University of Chile. Coordinating Professor and Participant. Course of Fundamentals of Veterinary Pathology. Dept. Animal Pathology. Faculty of Veterinary and Animal Sciences University of Chile. Coordinating Professor and Participant. Postgraduate and Postgraduate. Director, Diplomate Coordinator of Veterinary Medical Pathology: (Theoretical - practical, specialized program). Responsible and Participating Teacher. Postgraduate international. Postgraduate School of the Faculty of Veterinary and Livestock Sciences, University of Chile. Diploma of Immunology, Hematology and Clinical Biochemistry: (Specialist theoretical and practical program). Participating Professor. Postgraduate. Postgraduate School of the Faculty of Veterinary and Livestock Sciences, University of Chile. Course on Specialized Pathology: Elective course of the Doctorate Program in Silvoagropecuarias Sciences Campus Sur and of the Magister Program in Veterinary and Livestock Sciences. University of Chile. Participating Professor. Course on Molecular Pathology: Doctorate Program in Silvoagropecuarias Sciences Campus Sur and of the Magister Program in Veterinary and Livestock Sciences. Participating Professor. Course on Immunodiagnostic techniques applied to research: Specialized elective course of the Doctorate Program in Silvoagropecuarias Sciences of the South Campus and of the Magister in Veterinary Sciences. Participating Professor. Postgraduate and Postgraduate School, Faculty of Veterinary and Livestock Sciences, University of Chile. Animal Medical Pathology, Pathophysiology, Toxicology Pet Clinic, Forensic Medicine. The shrimp is a crustacean much appreciated by the public and widely used in the preparation of research projects various dishes of Bahian and Brazilian cuisine. In addition to extractive fishing, shrimp farming has increased signi cantly in the state of Bahia, particularly in small communities that use this type of production based on the generation of family income. Much of the population of the region of the Bay of All Saints (BTS) survives the extraction of shellh (mollusks and crustaceans) edible, especially those popularly known as mussels, BB, hatchet, scooter, oyster, shrimp, crab and crab culled. With the growth of shrimp farming in the state of Bahia and the large shrimp extractive activity of the Bay of All Saints comes the need for hygienic and sanitary evaluation of these regions of extraction and production of shrimp forward to the various activities that are developed in the region. Ruiminant physiology, metabolic diseases,weather changes, ruminant production, semi arid climates reproductive physiology. Laura Patterson Rosa, DVM, is an expert horsewoman, working with equids for the past 15 years as trainer and consultant. A Merials Veterinary Investigator Program awardee in 2013, Dr. Patterson Rosa attended the Cornell University for a summer internship in equine genetics research. She graduated from the Federal University of Bahia, Brazil in 2014 and is currently pursuing her Ph.D. in Animal Sciences with a focus in Equine Genetics at the University of Florida, USA. Her expertise in Equine Genetics, Reproduction, Neurobiology and Locomotion come together in her current research topics in Genetics of Equine Traits of Interest, Health and Locomotion Patterns, providing insights on the role of genetics in neural function, phenotypic characteristics of economical importance, diseases and reproductive health. Laura Patterson Rosa, DVM, is a Ph.D. candidate at the University of Florida - Brooks Equine Genetics Lab. Her research focus in the genomics of Equine Health and neurogenetics. She is currently researching genetic factors controlling Congenital Idiopathic Anhidrosis (non-sweating) in horses, coat color patterns, metabogenomics in Equine Metabolic Syndrome (EMS) and neurogenetics of equine locomotion patterns in four-beat/gaited breeds. I graduated from Uludag University Veterinary Faculty in 1985 as the valedictorian. In 1986, I started to work as a research assistant in the Department of Animal Nutrition and Nutritional Diseases, Faculty of Veterinary Medicine, Istanbul University. From 1992 to 1995, I was a guest lecturer at the Veterinary Faculty in the University of Zurich. In Switzerland, I participated in two research projects: Parathyroid hormone related protein and calcium homeostasis during the periparturient period of dairy cows and Influence of dietary anion balance on the occurrence of milk fever. Having held various administrative positions at Istanbul University, I am still continuing to work as a Professor at Istanbul University Cerrahpasa. Lutfiye YILMAZ-ERSAN is an Associate Professor of Department of Food Engineering at the Uludag University, Bursa Turkey. I did my M.Sc. and PhD at Institute of Natural and Applied Sciences, Uludag University, Bursa Turkiye, in Food Technology Division. My PhD Thesis was on The Use of Different Probiotic Starter Cultures Combination in Yoghurt-like Fermented Dairy Products. More recently, I have worked dairy and dairy products. From 2007 to 2008 (14 months) I worked at University of Nebraska-Lincoln USA, Department of Food Science and Technology as a visiting scientist. The main lectures given by Mrs. Yilmaz-Ersan are Milk Technology, Fermented Dairy Technology, Probiotic Bacteria and Probiotics in Dairy Science, Advanced Cheese Technology, Functional Additives in Dairy Products, Alternative Preservation Techniques in Dairy Science and Rheology and Texture of Dairy Product. Topics of my research interest include dairy and dairy products, probiotics and prebiotics. 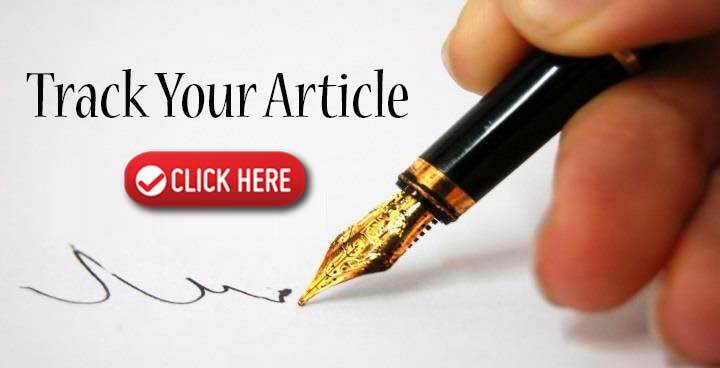 I have published several research and review articles in international journals and have two book chapters. Dairy and Dairy products,Probiotics and Prebiotics. Originally from Europe, I started working with dairy cows at age of 11. With a lifelong interest in animals and animal health, after completing my undergraduate education I worked for 2.5 years as a veterinary practitioner in Europe with production animals and occasionally companion animals, before migrating to New Zealand. I then worked as a veterinarian for 3.5 years mainly in mixed animal practice, with a special interest in production animals, before taking up the position of Senior Research Officer with special interest in lactational physiology and bovine mastitis at the Institute of Veterinary, Animal and Biomedical Sciences (IVABS), Massey University, Palmerston North, New Zealand. From November 2010 my research position was transferred in a Lecturership position. I have developed an interest in teaching and from 2006 have taught into the undergraduate degrees in veterinary and agricultural sciences at Massey University. My research interests included lactational physiology and pathology, the development of drugs and preventive measures for bovine mastitis and improving the fertility of dairy cattle. Studies for the development, registration and marketing of conventional and alternative veterinary medicines for the treatment of mastitis, prevention of mastitis or improving bovine fertility. Susceptibility of mastitis causing organisms. Aetiology and epidemiology of mastitis. Economics of mastitis. Immunity of the mammary gland. Difference in the incidence of mastitis between conventional and organic farms. Herd level disorders importance and prevalence. Refractive surgery, clinical ophthalmology, cataract surgery, pediatric ophthalmology, cataract, glaucoma, ocular motility disorders, strabismus. Ahmad Lajis graduated with a Degree in Science Biotechnology from Monash University, Malaysia Campus in 2008. Then he joined University Putra Malaysia as a research assistant, working on the large-scale production of kojic acid in high performance fermentation system. At the University Putra Malaysia, he continued his study in Master of Science Msc degree under supervision of Prof. Dr. Arbakariya B. Ariff. Later, the University approved the conversion of his Msc program to PhD degree program in 2012. In his PhD study, he has been working on the enzymatic synthesis of kojic acid esters and study on their application as depigmenting agents. 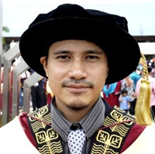 In addition to his PhD study, Ahmad Lajis is also active in other research works such as the production of recombinant protease in large scale fermentation system and biomanufacturing of bacteriocin using locally isolated microorganisms. Dr. Alejandro Cordova Izquierdo, Veterinarian and Zootecnista at Autonomous Metropolitan University Xochimilco Unit (UAM-X), CDMX. Postgraduate Masters Degree in Reproductive Biology from the Universidad Autonoma Metropolitana Iztapalapa Unit; Doctorate in Animal Reproduction by the Faculty of Veterinary Medicine of the Complutense University of Madrid, Spain; Master in Environmental Education by the Institute of Ecological Research of Malaga, Spain; As well as several Diplomas in Teaching, Science and Technology and Scientific Research Methodology. 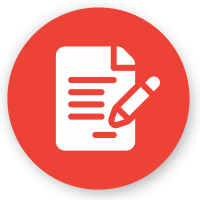 It is a desirable PROMEP profile and has been a member of the National System of Researchers (SNI). He has more than 30 years of experience in Teaching, Research and Dissemination of Culture. 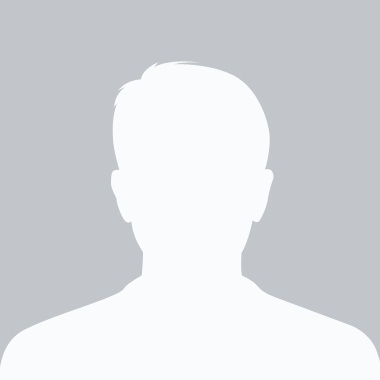 He has published more than 300 Scientific and Dissemination Articles at international and national level; Has presented countless conferences and scientific papers in international and national congresses. He has published several books related to the Veterinary Sciences. He is a referee in international and national scientific journals. He has directed several undergraduate and postgraduate theses. Has been certified in Reproductive Clinic of Bovines and Pigs by the National Council of Veterinary Education (CONEVET). It is a small pig producer in the Municipality of Cardenas, Tabasco. It belongs to several associations related to the Veterinary Sciences. He has been a full time professor in the Academic Division of Agricultural Sciences (DACA) of the Autonomous Juarez University of Tabasco (UJAT), Mexico, teaching the subjects of Lactation Physiology; Specialized Animal Reproduction; Behavior, management and Animal Welfare; Pharmacology and Veterinary Toxicology and Cattle Clinic, during the time he worked at DACA-UJAT he teamed with several professors from that institution. He is currently a full-time Professor and Researcher in the Veterinary Medicine and Animal Science Department of the Department of Agricultural and Animal Production of the UAM-X at CDMX, where he is the owner of the Module "Management of Reproductive and Genetic Efficiency". He likes to work with animals. 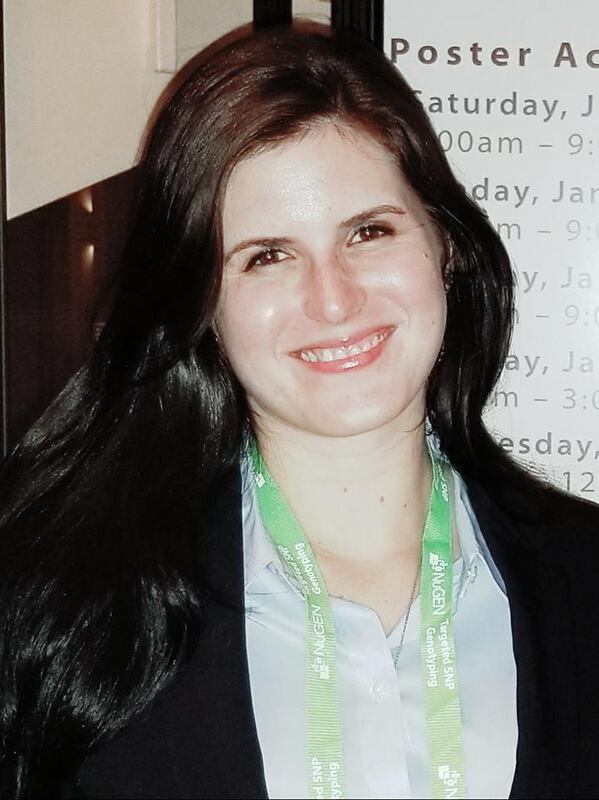 Gabrielli Stefaninni Santiago, DVM, greaduated from the Federal Rural University of Rio de Janeiro, Brazil, in 2012.M.Sc and Ph. D. in Animal Sciences with a focus in antimicobials resistance. She researched resistant bacteria in dairy cows and food production chain. Nowadays, she teaches in a technical course and acts as a veterinary doctor in a public establishment. Public health and antimicrobial resistance. I studied the basic education (primary and high school) in villages of the Eastern Cape Province. I studied a 3 year Secondary teachers Diploma majoring in Agriculture and Biology. I thought in 2 high schools teaching Agriculture and Biology for a period of 3 years. I decided to study BSc Agriculture (Animal Science) but I my certificate was without Mathematics which was another requirements for a BSc Agriculture degree. I studied Mathematics during the period I was still teaching in the last high school. I then get a good pass symbol and I started with the BSc Agriculture studies in the following year. In my 3rd year of study I got a bursary a Norwegian bursary that took me to my final year. Toward the end of the final year, I got a request to meet the faculty dean in his office who told me that there is a free standing bursary from Netherlands that is looking for a promising student to study MSc in Agriculture, Animal Science. It was quite difficult to agree because initially I wanted just to study BSc Agriculture. However, he managed to convince me and in the following year I registered for a MSc Agric degree (Animal Science). Before I could complete it he told me that my bursary is waiting to further me towards a study for a PhD degree. I did not argue anymore, I agreed to study and in the following year, I registered for a PhD degree that I finished in the 3rd year after registration. My research interest is more on milk production and partly on wool production. I have students who graduated under my supervision their MSC and PhD degree studies on milk production and wool production. y: Dr. Li Min got his bachelor degree in Animal Science from Jiangxi Agriculture University in 2009. Then he got his master degree in Animal Nutrition and Feed Science from Jiangxi Agriculture University in 2012. His master thesis was: Effects of functional oligosaccharides combination on rumen microflora of Jinjiang cattle. After graduating from the master, he found a job as technical service in Shanghai Nutritech Solution Co.,Ltd. The main tasks and responsibilities were to generalize the latest technology in enzymes, thereby communicate and collaborate with Chinas animal husbandry industry leading enterprises. One year later, he went to pursue his doctoral degree in Animal Nutrition and Feed Science at Chinese Academy of Agricultural Sciences and China Agriculture University, and graduated in 2017. 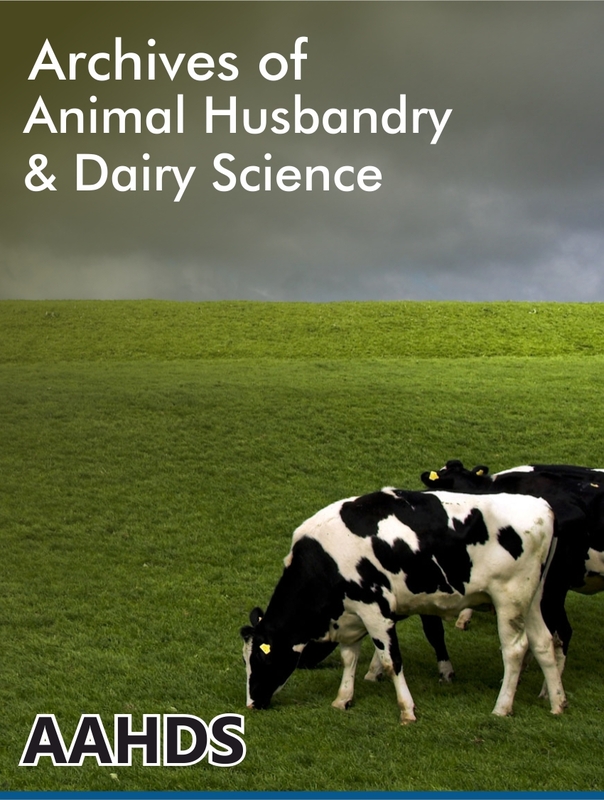 His doctoral thesis was: Based on metabolic response, proteomics and bacterial diversity for elucidating the effects of heat stress in lactating dairy cows. Then he joined in Guangdong Academy of Agricultural Sciences as a research assistant, participate and manage the scientific research projects including dairy cows, cattle, and sheep in the Southern of China. Until 2018, he had published eight papers in international journal as the first author or co-first author, and hosted a Natural Science Foundation of Guangdong Province. Heat stress in dairy cows, and aflatoxin M1 contamination in milk. Medical and surgical diseases in large animals, Pathophysiology of joint diseases in large animals, Camel medicine and surgery, Pre clinical studies, Medical product development and testing. Majid Kalantar, PhD, is an animal nutritionist, working with livestock and poultry for the past 20 years as trainer, consultant and academic lecturer/researcher. My M.Sc. was on animal biotechnology and nutrition at Bu-Ali Sina University, Hamadan, Iran, in animal science department. My PhD Thesis at Shahrekord University, Sharekord, Iran, was on the use of different NSP sources in poultry diets and evaluating its impact on enzyme activity, glucose, amino acid and nutrient transporters in the intestine and gene expression of nutrient transporter through the gut and level of intestinal villi. More recently, I have worked on by-product usage in animal nutrition and the effect of natural products and medicinal plant extract to preventing and ameliorating of PHS in poultry. From 2015 to 2018 I worked at University of Applied Science and Technology as head of animal science department as lecturer and researcher. I have published over the 43 paper and 10 books in field of animal nutrition, biotechnology and poultry subjects from 2002 to 2018. Animal Physiology and Animal Nutrition. Plant Origin Extract, Active Biomolecule. Sindh Agricultural University Tandojam, Pakistan.